Let your imagination run wild! Draw layered, three-dimensional animations and add your own background music and sound effects! 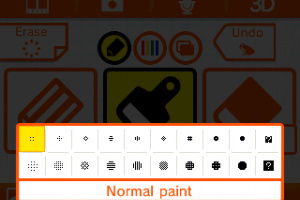 With a wide array of Touch Screen drawing tools at your disposal, you can develop your flipnote skills to create first-rate animations. Flipnote Studio 3D allows you to showcase your unique creations in 3D with other Flipnote Studio 3D users over a local wireless connection. 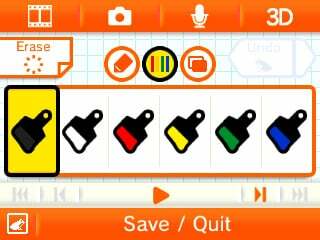 You can also save your creations to an SD card in common formats, and then share them on your social media sites. THERE SHOULDN'T BE A FEE!! i loved flipnote when i had it!! i cant wait for this!! Hopefully we can see footage of the app after its Japanese release...so excited to figure out how the app works, so I can get right into animating come August. I'm fine with a fee, you can still use the bulk of the software for free. Think of it as a way to help pay for the servers and maintenance to support the premium features. Nintendo has given users more services and features for free than any other console manufacturer. Microsoft may have the best built network because they have been charging for it for years now, but as a customer you never had a choice to have a free online match. I'm so excited! when my dsi broke, i missed this the most. Cannot wait! My buddy on YouTube who has a Japanese 3DS made this: http://www.youtube.com/watch?v=sqwgrf6LifU Enjoy!! I think its pretty well into early August were the heck is flipnote 3D! The online thing is free for four hours a day. Sure it's only four hours, but you'll be likely making flipnotes for most of the day and use this time to upload, comment, and look around. I think paying a dollar for all day is a little ridiculous, but having a four hour time slot of free use isn't that bad. @Artastrophe, Its cause the release for flipnote studio 3d was delayed like in America and Europe for no reason what so ever! Still waiting.... Loading.... Loading.... Loading..... ERROR! Nintendo has not yet released this software. 2 days later. Nope! Still WAITING. Great news! 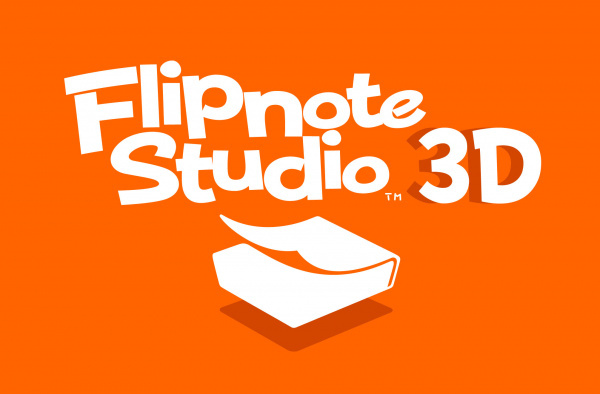 i just heard that in about a week flopnote studio 3d's release date will be announced! this mabye fake im not sure but it's a good way to get the great future animators a start AND (this 1 is 100% true) the flipnotes r over 1 minute!...yes i said OVER 1 MINUTE! way over! and that's it 4 now! why is it not out yet? @Sh4dowWolf It'll still be mostly free though. THIS SHOULD BE OUT NOW. TIRED OF SEEING JAPANESE 3DS'S, TAUNTING US WITH THEIR GOODY ANIME ART. 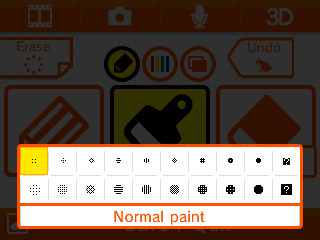 Release Flipnote 3D without any of the galleries (everybody has a YouTube account, and 3D Flibnotes can be saved as AVI's, so don't forget that) and when Nintendo fixes their little crisis, they can re-install the Galleries in an update. Geinus, no? ok so I LOVED flipnote studio while it lasted but when I found out that it STOPPED I was all like what da heck?!?!?!? Then I found out that it was coming out on 3DS. BUT how long have we even be waiting?!?!!? MONTHS. 1 year?!?!?!?!? Almost. Am watching Pokémon old version. While back I watched X and Y episodes. Sorry am off track. and how it's looking now, 30% Feb. 45% Mar. 65% Apr. 90% May. 90.3 Jun. Guys I heard it was discontinued. 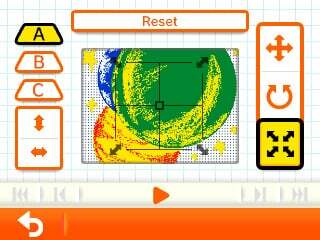 Either the application was or flipnote gallery freinds was. 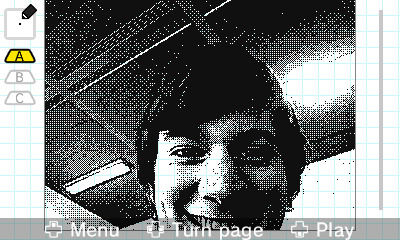 I read somewhere it was because of the same reason swapnotes spotpass was terminated. @Sprat2000 heh maby another week. Or months. Or years. He. Hehehe! AHAHAHAHAHAHAHA! WAITING HAHAHA WAITING FOREVER HAHAHAHAHAHAHAHA! @prototype it was for a reason. There is too much traffic on the servers and if it everyone had it and it crashes then NO ONE would be able to use it. It cannot be helped. @takeabowandwave Exactly what I was thinking when I bought a 3ds! I think it's worth it even without Flipnote Studio 3D now but I'm still disappointed! They should have waited to discontinue Flipnote Hatena until this came out! Ugh Nintendo, it's been like 9 months. Where is it?! This is total bullcrap. The release date was tba for a freaking YEAR! Get your lazy smelly dog crap together nintendo! Your better than this! In other news, It's cancelled! 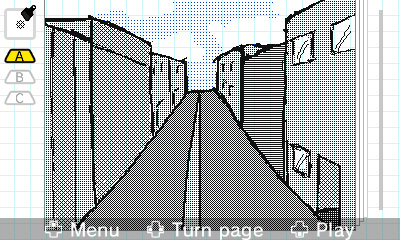 Honestly I enjoyed Hatena very much, and I am looking forward to this one so I can continue my Lego flipnote series. I made a lot of them, nearly 100 episodes. I really hope this doesn't get cancelled, however!!! They removed the Flipnote friends gallery! NOOOO! One more thing, don't pressure nintendo. You don't wanna rush them to where it ends up being crappy do you? Will flipnote be release in the U.S? It released in Japan, but has bad online gallery connection apparently. But I have no idea if it'll release in the U.S.
ALL THE ISSUES ARE FIXED IN JAPAN. THE ONLY ISSUE IS THAT NINTENDO DOESN'T CARE ENOUGH TO JUST UPLOAD FLIPNOTE TO THE eSHOP. And we have had *patience for almost a year. Over a year, if you're counting from when Hatena shut down. Believe me...the fans are justified to start taking action. Let me remind you that Flipnote Hatena is back, soooo yeeeeeah.... No more rights. Flipnote Hatena is not back. Sudomemo is cool, but doesn't make up for Nintendo's failure to deliver. Especially since, you know, Nintendo had nothing to do with Sudomemo. I don't think anything has ever been more delayed than Flipnote Studio, and I have never been more disappointed. Well F3D was a blow out from the start, since they already decided to shutdown Hatena for the very same reason swapnote spotpass was later removed. If you live in the Nintendo America Region, dont worry. Unless they get themselves together and understand that its the internet, we will Never have Flipnote 3D. As far as im concerned, if it ever does come out, Nintendo has already forfeited the money people might have paid for it by making it over 2 years behind schedule. And you know its ready, its been ready since before japan got it. How much do you think needs to be put into changing the language for a simple flipbook app? If you honestly believe that it isnt "ready", youre sadly confused. I would love to see this come out, but ive lost all faith in it. Since May 31st, Nintendo has gone to crap. Its only shining light was the Link between Worlds game. And thats was a huge shock since nothing goods been coming out since LoZ OoT 3D. And that was just a remade game, literally. But im done here, i could go on forever. Nintendo has failed us. Its time to accept that. Good Bye all, and good luck to any who may still have hope. But seriously if you bought a system mostly for flipnote software, then you probably should reconsider your priorities. At the point of typing this, Super Smash Bros. just came out. THAT is something to set priorities on. To say there's been nothing between the 2.5 year gap of Ocarina of Time 3D and A Link Between Worlds is the biggest joke I've heard in a while. There was Super Mario 3D Land, Animal Crossing New Leaf, Mario Kart 7, Fire Emblem Awakening, Pokemon X and Y, several Etrian Odyssey games, Paper Mario Sticker Star, Kid Icarus Uprising, Professor Layton and the Miracle Mask, Ace Attorney Dual Destinies, Resident Evil Revelations and it continues to get new games as it now has Bravely Default, Kirby Triple Deluxe, 2 new Professor Layton games, one of which is an Ace Attorney crossover and the amazing Super Smash Bros. released last Friday. If North American 3DS owners go without this application, its only a small loss in my perception, because I firmly believe as it stands, the 3DS is the best system to buy right now. 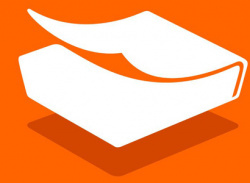 @thePOTTYgamer I read that it was gallery:friends that was discontinued, not the actual app. The "New Nintendo 3DS" releases on 21st November in Australia. Japanese New 3DSs have Flipnote 3D preinstalled. What's going to happen to us with our new 3DSs? 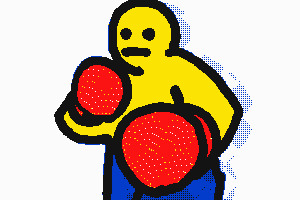 Search on Google for Flipnote.Studio.3D.JPN.3DS-BigBlueBox. If you have a 3DS with firmware 4.1-4.5 and a Gateway or MT Card, then you can finally get Flipnote Studio 3D outside of Japan! There is a chance that we can play Flipnote Studio 3D soon. and 3DS. If that's the case, we can finally get Flipnote Studio 3D outside of Japan! I'm excited! evry thursday my hopes r dashed. Got this around 6 am today. Club Nintendo has less people on in the morning. It's finally out, everyone! The Orange Frog Trilogy has finally ended! 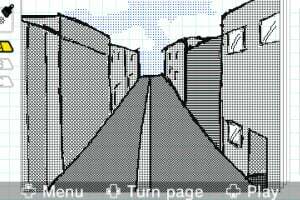 😄 I just hope that they eventually add it to the eshop and bring back Flipnote Gallery World. But besides that, I'm satisfied! Enjoy! I have it. Its free, and Club Nintendo is almost over(you all know that) so hustle up! Time is almost up. the most atrocious thing i have ever seen. @Rixor13 What do you mean? 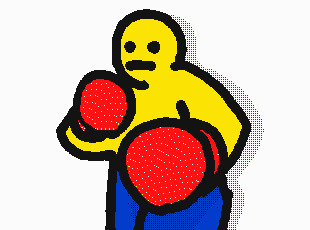 @Sforzando i mean it is pointless. there is no online service so why the hell should i use it? @Rixor13 If you're interested in making animations. @Sforzando well where will i post them to? certainly not hatena. @Rixor13 YouTube, facebook, tumblr, deviantart, reddit, anywhere you want. @Sforzando i shouldn't have to unscrew the back of my new 3ds xl just to share flipnotes. @Rixor13 if you have a PC (not Mac) connected to the same network as your n3DS, you can access the SD card files wirelessly, no unscrewing necessary. 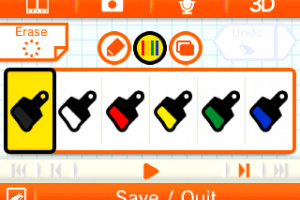 If you made a Flipnote good enough that you want to share it, grabbing a screwdriver is not that much of a bother anyway. @Sforzando well the main problem here is nintendo promosing us the online and we never got it. sharing it on outside locations isn't the same because you can't download them to your 3ds and keep them and watch them without interned. or edit them if they aren't copy locked. 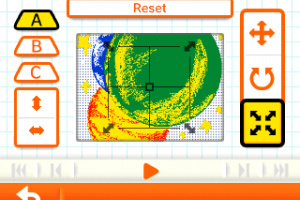 that's the reason why i had so much damn fun with flipnote for the dsi. this just feels demoted in way more ways than one. Not gonna lie there. "Castrated" is the term I use, heh. But all those things are still possible if you're determined to make the best of a bad situation. 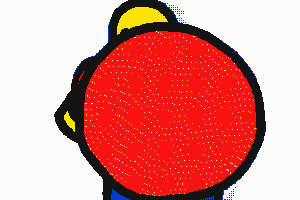 The flipnotes' .kwz files can be shared online, and you can export movies too. It's still a pretty good animation software for being a 3DS app. flipnote 3d on the 2ds would not work at all. Coming to Europe in March 2016. But only if Nintendo doesn't delay it the 900th time. So finally in Europe and you can download DSi flipnotes. Nintendo never explained why they removed the World Gallery from the App... this was what I was waiting for, now the DSi Flipnote is dead and the 3DS was destroyed without a reason. 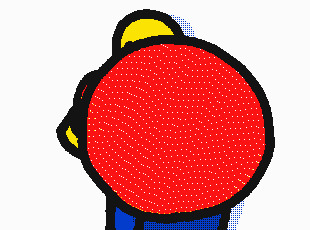 Some people made a server for DSi flipnote, just like hatena in the old days, it's called Sudomemo. Where can I get the codes?